Caprel is a leading Moroccan producer of capers and table olives for the local and international markets. Following its previous positive experience with the MorSEFF loan, the company decided to apply again. 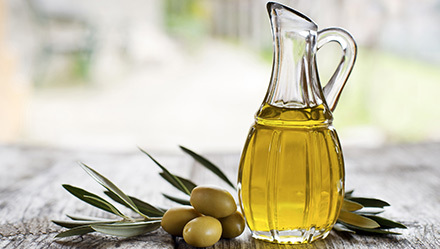 To reduce the energy consumption and improve the performance, the company decided to renovate one of its olive processing lines with new energy efficient equipment. The company addressed MorSEFF for financing, while the MorSEFF team supported it with the analysis and advice on the proposed technologies, the potential of energy savings, financial-technical parameters and profitability of the project. The project included replacement of ten old olive coring and cutting machines with new ones, guaranteeing substantially improved yield, product quality and optimal power consumption. The €450,000 investment allowed Caprel to reduce its energy consumption by 82 MWh per year, leading to substantial cost savings. The investment will be repaid out of energy savings in five and a half years, turning the future cash-flows into company’s income for the years to follow. Energy savings were generated by the use of new electric motors, which allowed to increase the production capacity by 33 per cent, while decreasing the specific energy consumption by 30 per cent. In addition, the overall operation uptime was prolonged and the need in lubrication pumps was reduced. This is a good example of how new technologies bring energy savings to companies of different sectors. In addition, investments in energy efficiency lead to other benefits, like extended lifetime of the production lines, lower maintenance costs, improved production process. Therefore, it is worth checking the energy saving potential of all investment measures. This project is funded by the EU and the EBRD’s Southern and eastern Mediterranean (SEMED) Multi-Donor Account. The donors of the SEMED MDA are: Australia, Finland, France, Germany, Italy, the Netherlands, Norway, Sweden, Taipei China and the United Kingdom.